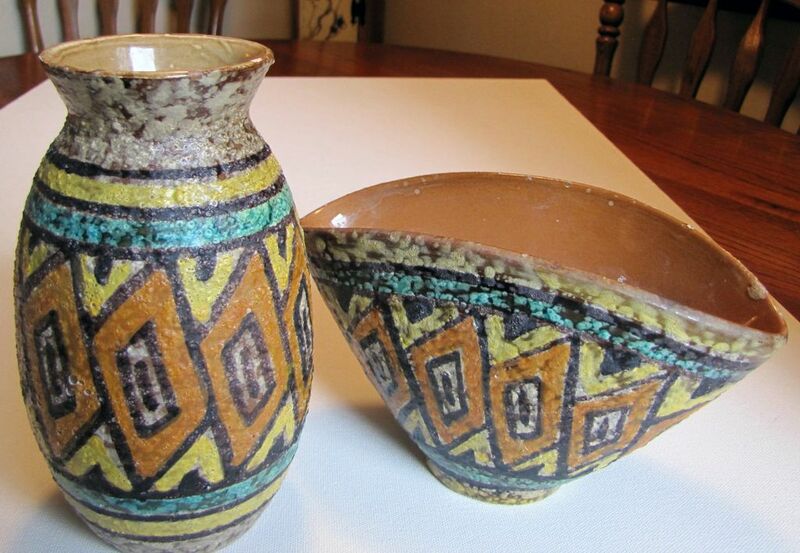 Very nice matching set of mid-century, vintage vases - Fantoni, Gambone, Raymor type. 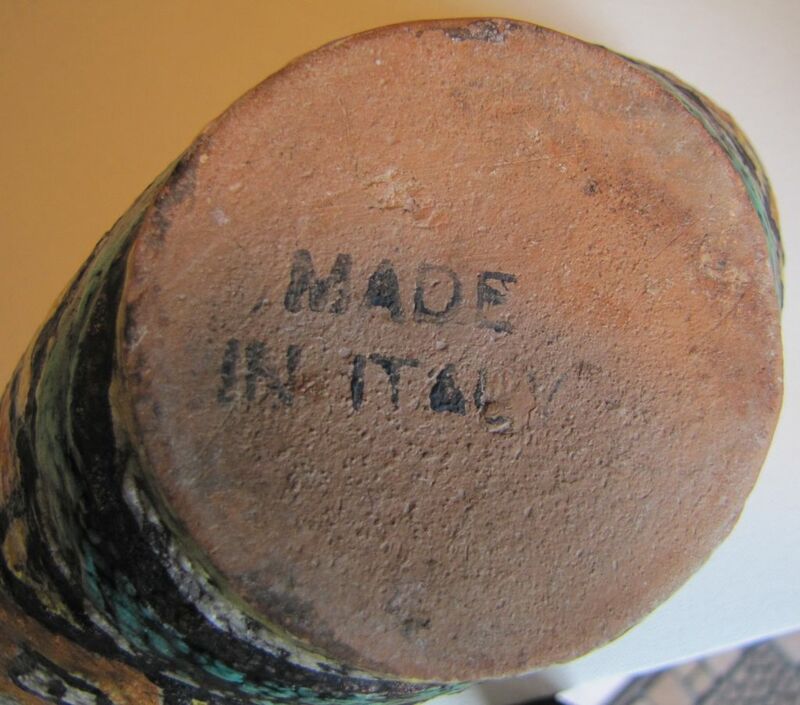 The one vase is marked on the bottom Made in Italy. They are hand-painted in a retro geometrical design. The outsides are very heavily textured, ie., lava type. 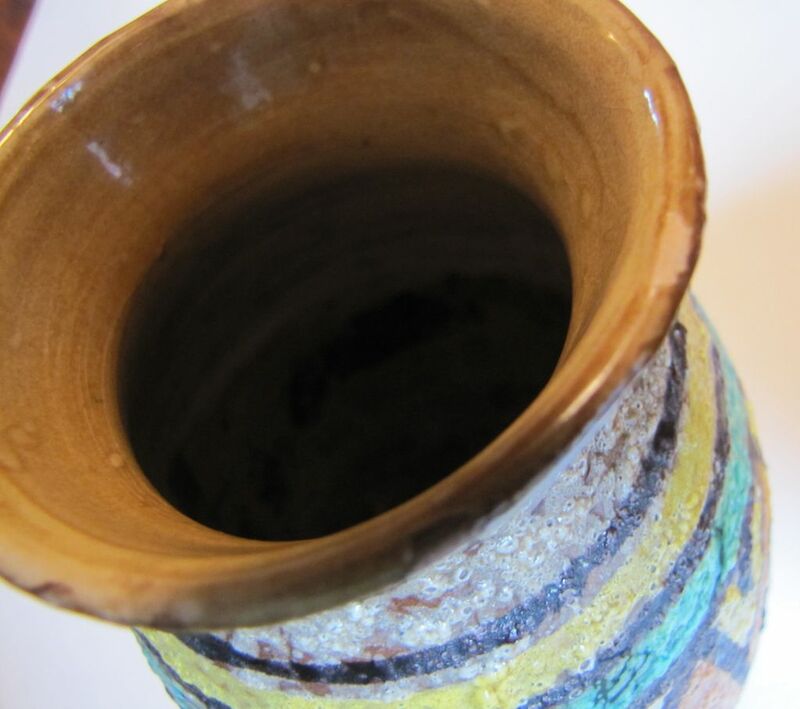 The tall vase measures 6 3/4" high by by 3 1/2" in diameter and the other vase is 4 1/2" high by 7 1/2" in diameter. 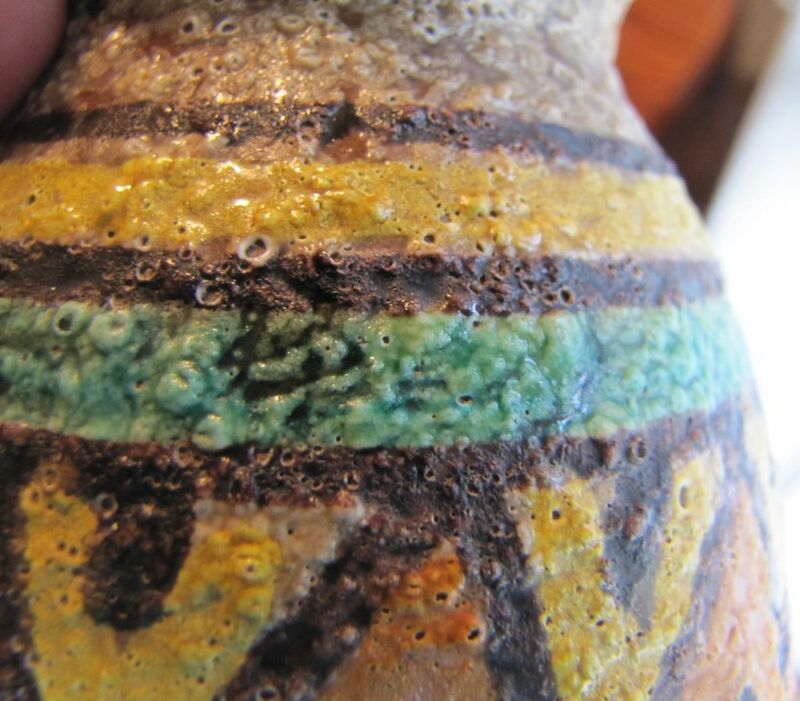 There is a very small (about 1/4") area on the top where the glaze is missing on the taller vase and there is wear on the inside of the other vase. 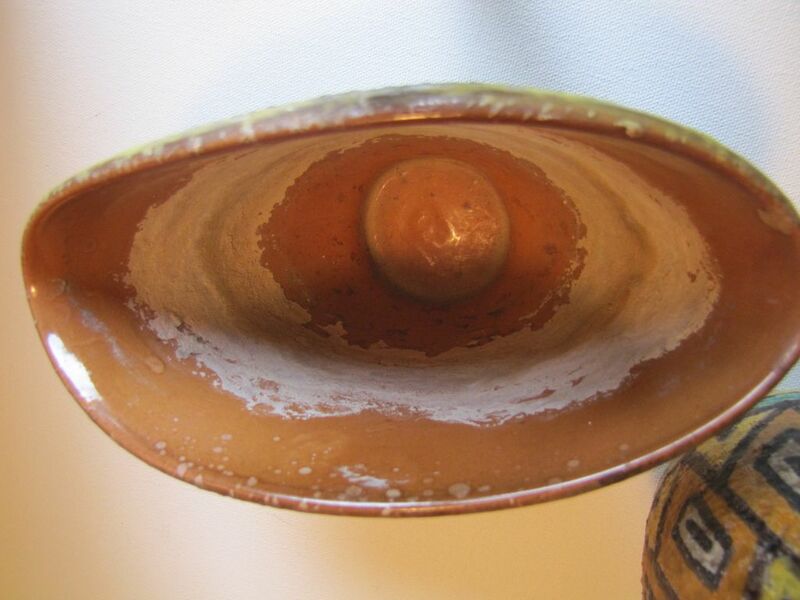 There appears to be some type of writing or signatures on the taller vase, but, I am not sure because it could be in the design itself. These were acquired at an estate sale and I was told they were very old. Nice to find a complimentary set of two.